When it comes to SEO, there are many factors to consider. One of the most overlooked is the use of schemas to properly tag your website content. If you are looking for some practical advice on schemas, how they benefit your business and how they can be used to boost your SEO ranks, you’ll love this infographic. It’s a simple checklist of what schemas are, how search engines use them and the kind of impact your business might see by properly adding schemas to your website. Want to take it one step further? Use Google’s free structured data testing tool to see how many schemas are on your website. Then compare what you find with the appropriate list of available schemas for your type of business at schema.org. 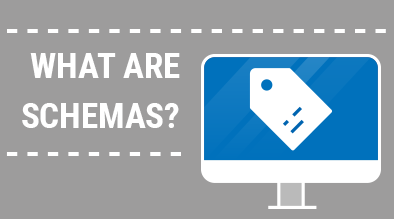 Did you know that adding schemas to your website can be a simple and painless process? Start with reading through our infographic – then get in touch – and we can explain how you can get schemas on your website in a painless and simple process that won’t disrupt your IT or website developers.